FAIRBANKS - A flash of red lightning. A pulsating aurora. These fleeting phenomena are hard to see with the naked eye.... See the full News-Miner article on Jason Ahrns. 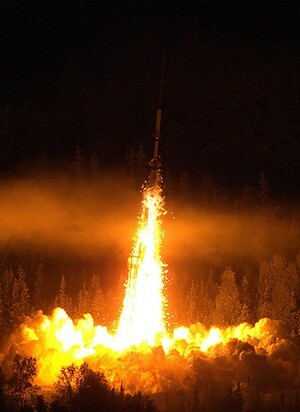 FAIRBANKS - Researchers at the Poker Flat Research Range sent four rockets into an aurora filled sky early this morning. 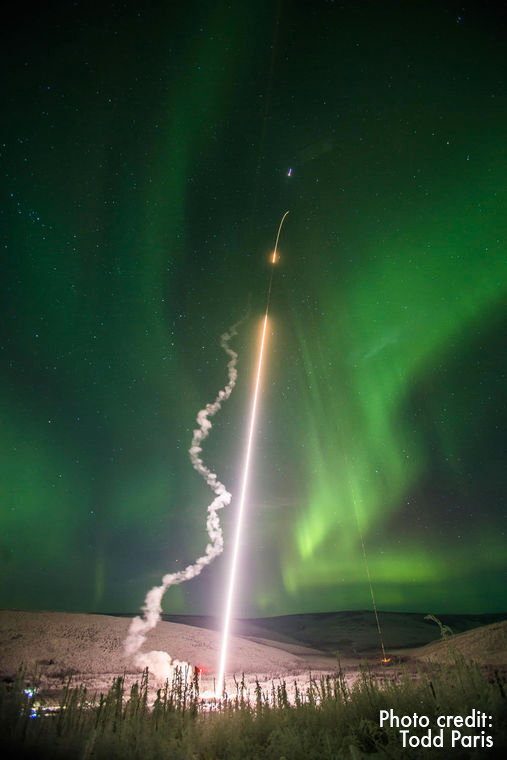 The four launches were successful and appear to have produced data that will help researchers understand turbulent air currents in the upper atmosphere, said Sue Mitchell a spokeswoman for the University of Alaska Fairbanks Geophysical Institute. Jan. 20, 2005 — Elected Interior officials are annoyed with Gov. Frank Murkowski’s road initiatives because he didn’t include enough money for Fairbanks projects and projects that made the list were not labeled a priority. Last month, Murkowski announce he planned to spend $108 million of state money to relieve congestion in Fairbanks, Anchorage, the Matanuska-Susitna Valley area and the Kenai Peninsula. Fairbanks received $3.5 million while Anchorage got $56.5 million. The M-TEX mission will be launched in conjunction with the MIST mission.These two collaborative investigations will be flown from Poker Flat Research Range in Alaska in early 2015. A total of four rockets will be flown to investigate and enhance our understanding of how meteorological processes control the impact of solar processes on the Earth’s atmosphere, i.e. how does the atmosphere respond to auroral, radiation belt, and solar energetic particles, and what are the effects on nitric oxides (NOx) and ozone. 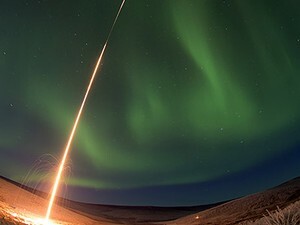 The Auroral Spatial Structures Probe (ASSP), is intended to launch into a diffuse aurora in geomagnetically active conditions following the recovery of an auroral substorm. This high altitude rocket and ASSP payload will be launched along the magnetic field line and carry six subpayloads which will be ejected from the main payload at high velocity. The subpayloads will be launched both along the flight path and normal to it so that spatial features and temporal-spatial ambiguities can be explored. The MIST payloads, launched in close sequence with the M-TEX rockets, gather data about turbulence in the mesospheric inversion layer by deploying tri-methyl aluminum tracer (TMA) material. The TMA is released from the payloads during both the upleg and downleg portions of the flight and creates whitish clouds that are photographed from several ground stations. Analysis of the data will enable detection of turbulence in the region between 80 and 140 km.